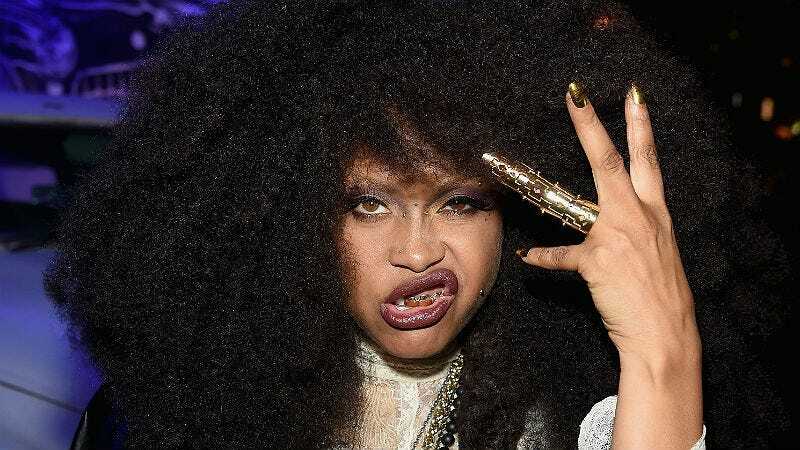 After sparking a Twitter debate in which it sure sounded like she was telling young women it was their responsibility to stave off grown men’s advances via their clothing choices, Erykah Badu is back to explain herself—and what she has to say now isn’t much better. Lawd help us. Last week, Badu tweeted a series of thoughts on a New Zealand school’s decision to lengthen their female student’s skirts. To say it didn’t go over well on Twitter would be an understatement. And this week, the Dallas artist is doubling down on her take. In an interview with The Fader, Badu said it was a “man and a boy’s responsibility to control himself” and that “it’s deviant behavior to prey on young women and children.” But then she echoed the incendiary bits she tweeted initially. Badu added that she wants her daughters, Puma and Mars, to wear what they like—as long as it’s safe. She says she likes using Twitter, where she feels like a “patient elder,” because she feels like she’s able to say exactly what she wants. But she still considers the app a joke between her and the man upstairs. You can’t get angry. You have to breeze through it and find humor in it. The whole world to me is kinda like a private joke between me and God sometimes, and that’s how I treat social media, too. The studio audience in my head is always cracking up. The Fader also features Badu on its cover this week, with a profile written by Vinson Cunningham. Check it out here.